By designing with a deeper understanding of the full design implications: biophilia, construction costs and maintenance implications. Biophilic design recognises that we as people are part of a biological system. We are one of the living components. Whilst our leaning towards biophilic needs is a remnant of our past, it is not irrelevant. We still have this innate desire, even if inherently diminished, to connect with nature. When we are able to do this, we feel better, we are healthier and happier, and lead more productive lives. We interact with other biological systems and our health and wellbeing is related to the way we connect and interact with other natural systems in an urban environment. The onus of town planners and designers should be to incorporate a connection with nature, rather than block it out. A really great landscape design course will combine the artistic elements of garden design with the practical skills discussed above - you can't create one without knowledge of the other. This course will give you both. This is an ideal course for people with an interest in landscape design. Develop the skills to feel confident offering cottage garden design or restoration as part of your landscaping service. Learn to design a cottage garden, applying broad concepts and principles loosely or rigidly to create a landscape sympathetic to a period in history or style of architecture. This course involves using heritage or old world plants and features (i.e. formal to semi formal designs with an emphasis on flowers, vegetables, archways, arbours, statues, gazebos, picket fencing, sundials and rustic elements). If you want to avoid serious mistakes and get a solid foundation in garden design, without committing to the time and cost of a much larger course - you won't find much better than this. 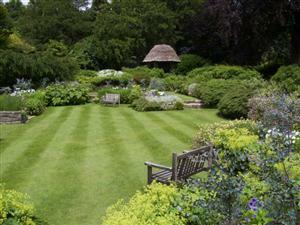 Extensive training for an exceptional career a landscape contractor or garden designer. An experiential learning program incorporating lots of practical experience together with sound training in foundation knowledge required for a successful and sustained career. Learn to design all types of landscapes, manage projects and to adapt and confront new problems as they arise. This course has been developed by a team of highly respected, qualified and experienced landscape professionals from the U.K., Spain, Australia, and several other countries. Study the history of gardens. Understand how gardens have evolved over the centuries, and broaden your perspective on what is possible and appropriate in garden design today. Garden history will enlighten you, and vastly expand the scope of possibilities you have before you as a modern garden designer. Lessons cover garden designers, great gardens and gardeners of the world, private and public gardens, globilisation of gardens, scope and nature of modern garden conservation, the roles of organisations in garden conservation and much more. At the end of this 100 course you will be able to design a garden, and will have a foundation for further studies in specific areas of landscape design, development or management. Learn the principles that underpin all design. See how garden styles have evolved over the centuries, and broaden your understanding of how to use different garden components to create varying affects. Learn about the components that make up a garden both 'hard' and 'soft' - extend your knowledge on landscaping techniques. A great course for designers and budding landscapers alike. A natural garden is one that appears to be a relatively natural occurrence: not look contrived or overly planned by people and not maintained with any substantial input by people. Natural gardens however may (in fact) be planned and may require routine maintenance - it is just these things are not obvious. 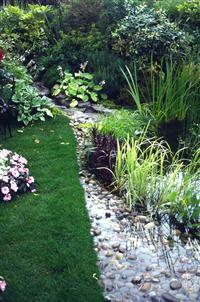 Natural gardens frequently make use of the indigenous flora (or native plants) of a particular area. It might make use of other plants as well. Your choice of plants for a natural garden will largely depend upon what affect you are trying to achieve. To appear informal a natural garden should have curves rather than being angular and tends to incorporate nature rather than overly manipulate it. Develop an in depth understanding of the principles and procedures for all aspects of planning for development of a hard landscape; including: site assessment, plan drawing, plan interpretation, project specification and construction planning. It assumes a foundation knowledge of landscape and horticultural management. It is a valuable study program for even those who have worked in landscaping for some time, but who seek a deeper and broader knowledge of garden renovation. This course has been developed by professionals in both Australia and the UK, with the aim of being relevant throughout the world. This course develops a sound understanding of the design and construction of small community parks and playgrounds. A valuable course for parks managers or designers, the course covers playground philosophy, design of play structures (for function and safety), materials selection, community participation and park design. Learn to survey, analyse and plan sensitive and appropriate renovation of established gardens, generally of 2 hectares or less in size. This course assumes a foundation knowledge of landscape and horticultural management. It is a valuable study program for even those who have worked in landscaping for some time, but who seek a deeper and broader knowledge of garden renovation. Enrol now and get the course at a reduced price AND six free eBooks recommended by our tutors.